The village of Bayside is a north shore community located along Lake Michigan and borders the city of Mequon. Bayside has historically been a ground water community comprised of subdivision wells, and individual home owner wells. A public water system was never installed in the village until the late 1990s when Wisconsin Gas Water Services installed a small voluntary system in the south east corner of the village. Since then, the public water system has slowly expanded. The City of Mequon purchased the water utility in 2009 and entered into an inter-municipal agreement with Bayside allowing the City to own and operate a public water utility in the Village. The southwest corner of Bayside had a mixed bag of water systems, and serious water quality issues. A small portion of the area was served by the public water system (Mequon Water Utility), while the rest of the area was a mix between subdivision well systems and individual wells. The subdivision systems were showing signs of failing, maintenance and treatment costs were skyrocketing, and similar to the individual wells, the water quality was undesirable. Several citizens wanted to connect to the public water system; however, the expense for extending the the public system was too costly. Something needed to be done. A citizen group led a grassroots effort to build support for the water main extension project throughout their neighborhood. Working together with village leaders, City Water, and Mequon, a creative solution was developed that would make the project affordable if enough residents agreed to connect to the public water supply. Starting with only a small neighborhood interested in the project, one citizen distributed educational materials, internet surveys, conducted neighbor meetings, and door to door visits to help expand the connection area, and increase neighborhood participation. The increase in project participation along with a creative financing package provided an affordable solution to their water problems. Based on the initial cost estimates, the Village adopted a maximum assessment amount of $12,000 per benefiting residential equivalent unit. With the actual project costs finalized, the dollar amount per benefiting property has come in substantially less, as much as 48 percent less depending on the project area and financing option selected by the property owner… The key factor to the reduction of the cost per benefitting property was the economies of scale achieved through the growth of the (association). For example, had only 111 properties participated, the cost per home would have been $9,304.23 versus the $6,202.82 with 148. City Water continues to work closely with Bayside, and community leaders, to identify future neighborhoods willing to participate in this grassroots effort to bring safe, reliable, and affordable drinking water to their community. In 2009, Brown Deer established a relationship with City Water to operate as the contract manager for the Water Utility. Initially this consisted of City Water acting as the Utility Superintendent and providing an operator. In 2018, this relationship expanded to incorporate the vacated positions of utility clerk and second operator. Currently, City Water oversees all day to day operations of the Brown Deer Water Utility, resulting in significant savings to its customers. City Water’s understanding of customer expectations, combined with our knowledge of the water industry and experience managing and operating water utilities, results in providing the best service to Brown Deer’s customers. Infrastructure replacement – City Water has increased the amount of annual water main replaced in the Village by combining Village resources with minimal impact to the water rate fee resulting in lowered maintenance costs, improved water quality standards, and increased system reliability. Improved water quality – by managing the design and operation of an in-line chlorine booster station, and uni-directional flushing program. Both projects have proven to help increase the disinfection residual throughout the distribution system and greatly reduce service lateral leaks. Improved customer service – supervising the implementation of new utility reporting systems for monitoring key quality parameters, electronic work order system, improved meter reading and customer billing operations including notifying customers of a potential leak inside their property within a week of discovery. Cost savings – City Water helped organize a water wholesaler group that has successfully helped to reduce the projected water rate increase from the past two water rate increases from Milwaukee Water Works. Brown Deer water rates remain one of the lowest rates in the greater Milwaukee area. Utility locates – City Water staff provide all water main locating services within the Village of Brown Deer. Additionally, our operators identify and locate Village street lighting utilities. Keeping locating services in-house instead of contracting to an outside locating company reduces costs and ensures familiarity and accuracy of all utility locates. In the third quarter of 2018, the Utility Clerk for the Village of Butler retired. With the next water utility billing cycle approaching, there was not enough time to pursue the hiring process for a new Utility Clerk and get the next set of bills sent out in time. City Water offered to step in temporarily and fulfill the Utility Clerk duties in regards to billing, to ensure that the third quarter bills were sent out timely and accurately. With very little time to operate, City Water managed to obtain the meter reads from the Village of Butler and turn the reads around into bills within two weeks. By observing and running through the meter reading and billing process, we also are working with the Village to streamline and update their billing process to maximize efficiency in the future. Faced with the loss of the water utility foreman in 2014, the Village contacted City Water to help manage and operate the water system on an interim basis. The Village and City Water signed a month-to-month agreement providing them with transitional services which afforded the Village the time they needed to analyze their water operations and determine the best option for the future. City Water was able to successfully step in and provide excellent service to the Village without a disruption to staff or Village residents. City Water assimilated Village staff into the day-to-day operations of the Utility, successfully enhancing the internal services to various departments within village hall. City Water helped manage two major capital improvement projects in 2015. Updating and painting of the interior and exterior coatings of the Village’s 1.5-million-gallon water storage facility. City Water helped the Village manage the completion of that project, including coordinating the critical main shut down to isolate the facility, and modify distribution system operations while the facility was offline. Improvements to the water booster pumping equipment and SCADA controls system which were original to the Village Hall building (circa 1950). Timing was perfect to replace this equipment while the tower was down for service. City Water worked with Village Staff and the Village Consultant to facilitate the replacement of this equipment during the tower painting project. City Water staff assisted the Village in a GIS utility locating project. Over the course of two years, utility infrastructure was field located using GPS equipment that has helped improve the accuracy of the Village Maps and decrease staff time in completing Hotline locates. 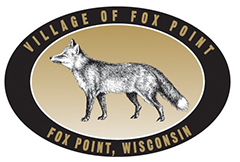 After providing transitional services for almost 2 years, in May of 2016 the Village completed their analysis of the Water Utility Operations, and awarded City Water with a long term contract to manage and operate the Village of Fox Point water utility. In 2017, the Village of Kewaskum hired City Water to perform a Non-Revenue Water (NRW) study. Over the past several years, Kewaskum had been experiencing increasing amounts of NRW, culminating in over 50% NRW in 2016. As part of the study, City Water looked into all aspects of the water utility, including supply sources, metering, leakage, and the billing system. Preliminary results from the study show that pumpage has decreased significantly since City Water investigated the system, indicating the NRW should significantly decline in 2018 and in the future. AWWA Water Audit – As part of the investigation, City Water followed the free AWWA Water Audit spreadsheet. This spreadsheet tabulates all sources and uses of water to determine NRW, and estimates the cost associated with NRW. Furthermore, the spreadsheet allows confidence grading of each spreadsheet input, which then gives areas for the Utility to focus on to increase their confidence in where water is being used or produced. City Water strongly encouraged the Village to also adopt this software, as it parallels the current Wisconsin Public Service Commission (PSC) extremely well, and possibly may be required by the PSC in the near future. Meter Testing – Kewaskum currently tests all their larger meters per the required testing schedule, but had fallen behind in testing their residential water meters. City Water tested all the meters replaced during the study for accuracy against the PSC standards, which allowed the Village to determine if they were truly billing accurately for the water being consumed. Acoustical Leak Detection – City Water also performed an acoustical leak survey on roughly 30% of the Village. During the survey, several significant service leaks were found and repaired. Service leaks are especially damaging to a utility, as they may not surface and run continuously for weeks, months, possibly even years. After sending the results of our survey to the Village, they found a couple additional leaks using the patterns we identified. These significant ongoing service leaks account for tens of million of gallons per year, a significant portion of the NRW. 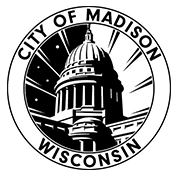 Madison’s Water Utility’s (MWU) meter reading system was outdated and soon to be obsolete. City Water partnered with Clark Dietz to develop a new meter reading system resulting in a change in Utility operation. City Water’s creative approach to the project resulted in an improved business strategy for the utility. The new AMI system will allow MWU to improve their management and operation of their water system by improving customer service, Utility cash flow, and commitment to water conservation. In 2009, Mequon established a partnership with City Water to manage and operate the newly acquired water utility. City Water worked with the City of Mequon to establish the first municipally owned volunteer water utility in Wisconsin. Together we developed unique franchise rules that were approved by the Public Service Commission to govern the operation of the water utility. Voluntary water connection – There is no mandatory requirement to connect to the public water utility in the Mequon Water Utility Service territory. 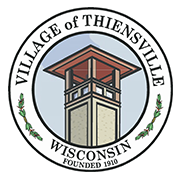 Inter-municipal agreements – Mequon negotiated water service agreements with the Villages of Thiensville and Bayside for public water service. Inter-municipal agreements allow the Mequon water utility to own and operate the public water system in each community. Potential local delivery main refund – Customers who pay the cost of extending water main service may be eligible for a partial refund of their investment should additional customers connect to the new main. City Water was a key influence in the decision to interconnect the Mequon Water Utility with both Milwaukee Water Works and North Shore Water Commission. This allow the utility to maintain complete adequacy of supply, even if we would lose one of the two water supplies. The addition of this system loop, and the associated water booster station, also improved water quality standards, and increased system reliability. In 2015, the Mequon Water Utility received the Utility Achievement Award for completion of the 2015 Bayside Water Main extension. This project initially started as just one small neighborhood but expanded to over 140 new customers and 10 miles of new watermain. City Water played a key role in the execution, design, and management of the project, as we paired with Foth Infrastructure on the design and work closely with the Village of Bayside and customers to ensure the best possible outcome. Because of the expansion in project scope, significant cost reductions were seen by new customers, as the new capital costs were able to be parsed among more people. In the end, the project saw up to 48% reduced costs to individual customers from the initial projections, while delivering safe, high-quality drinking water to a number of new customers, all while managing cooperation between the multiple interests of customers, the Mequon Water Utility, and the Village of Bayside. Faced with the loss of the water utility superintendent, the Village contacted City Water to help manage the water system on an interim basis. The Village and City Water signed a month-to-month agreement providing them with transitional services which afforded the Village the time they needed to analyze their water operations and determine the best option for the future. Besides providing management services, City Water has provided engineering design services for the Village on a number of projects. 2017 Water Main Replacement – City Water provided the engineering design services for the annual water main relay. The priority ranking for water main replacement was based off an engineering hot spot analysis, which pinpoints vulnerable sections of infrastructure more prone to breaks. Using this priority list, City Water designed a 680′ water main relay on Lake Bluff Ave.
2018 Valve Replacement – City Water provided the engineering design to replace 7 water main valves on Wilson Ave. Special consideration was given to the sequencing of the replacements so service disruption to customers was minimal. 2019 & 2021 Water Main Replacement – In 2018, City Water was awarded the design engineering and construction inspection services for the 2019 and 2021 watermain relay projects. The 2019 project will include the replacement of approximately 640′ of 6″ ductile watermain with 27 services. The 2021 project has yet to be identified, but will be similar in scope. 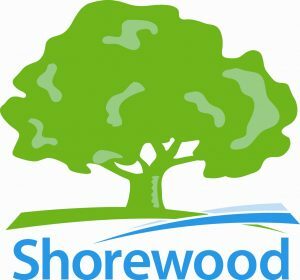 In 2018, the Shorewood Water Utility was awarded the Utility Achievement Award by the Wisconsin section of the American Water Works Association. This award was given for ongoing excellence, and is a testament to the fruitful relationship between the Shorewood Water Utility and City Water. Located inside the city of Mequon, the water supply in Thiensville became an issue of concern among the residents and politicians in early 2000. Two subdivisions had recently received compliance orders from the Department of Natural Resources due to high arsenic levels in the supply wells. City Water collaborated with key stakeholders from the Mequon, Thiensville, and the individual water trusts to develop a creative solution to providing public water supply to the residents. An inter-municipal agreement between all parties was formed and utilized local municipal funding sources to help residents finance the design and installation of the water main. Village financing was the key in allowing the diverse group of homeowners to move forward with solving their water supply problems. The solutions is a win-win-win for all parties involved. Mequon water utility increased their customer base; Thiensville solved a water quality and quantity problem while increasing the property value of their homes; and the residents benefitted from the supply of safe, reliable drinking water. City Water staff also worked together with key stakeholders to help optimize the design of the project which reduced the construction costs resulting in a lower connection for the residents. Water supply for these projects along with others in Thiensville is now provided via retail service from the Mequon Water Utility. As such, the residents benefit from treated Lake Michigan water through the city of Milwaukee and the North Shore Water Commission.